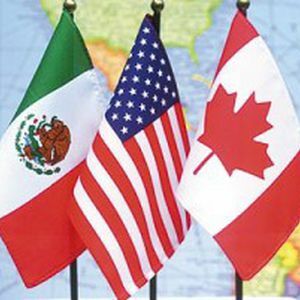 Mexico to seek trade commitment from Canada and U.S. The Mexican government wants Prime Minister Stephen Harper and U.S. President Barack Obama to have the three countries make economic decisions as a bloc — and is hoping for a commitment at a leaders summit this week. While immigration and security will also be raised during the North American leaders’ meeting — dubbed the Three Amigos summit — having the three countries act as one trade region, similar to the European Union, will take centre stage at the one-day meeting. “We need to work, the three countries, together. Not only the governments, but the private sector (as well),” said Sergio Alcocer Martinez, Mexico’s under-secretary of foreign affairs. But a former Mexican ambassador said any movement on the economy or the environment will be overshadowed if Canada doesn’t show movement on a four-year-old issue for the Mexican government: Strict visa rules. The government has no intention during this trip of lifting the visa requirements for Mexicans that were first instituted in 2009, an official told Postmedia News Friday. The Mexican government has been adamant that the restrictions should be lifted. Canadian companies have been equally vocal that the Conservatives should lift the visa requirements, which were first brought in to curb a spike in asylum claims from Mexico. “It’s the type of thing that is on the agenda and will cloud the relationship as long as it is there. That’s why I think it would be important for Mr. Harper to make some sort of commitment,” said Andres Rozental, who spent more than three decades in Mexican’s foreign service. Harper is scheduled to travel to Mexico City Monday. He will have time to meet one-on-one with Mexican President Enrique Peña Nieto on Tuesday and mingle with members of his counterpart’s cabinet. Obama will join the one-day summit on Wednesday. The trio will have a chance to mingle with select business people and academics before the leaders officially meet. It’s a rare opportunity for the two countries to work on a relationship that has largely been defined by their individual relationships with the United States, said Rozental, who does work with the Centre for International Governance Innovation in Waterloo, Ont. It also comes as Mexico shows it intends to be a bigger player on the international stage, Rozental said, and is inviting the world to invest in Mexico. After being nationalized in 1938, Mexico’s government this year officially approved rules loosening the restrictions on foreign investments. Alcocer Martinez said the details of the new regulations are being worked out that would allow Canadian companies to compete on equal footing with American companies for contracts. “It doesn’t matter about geography,” Alcocer Martinez said about how contracts would be awarded.